Watch Dogs 2's “seamless multiplayer” mode won’t be available when it launches today, Ubisoft said in a statement this morning. As it turns out, it’s broken. 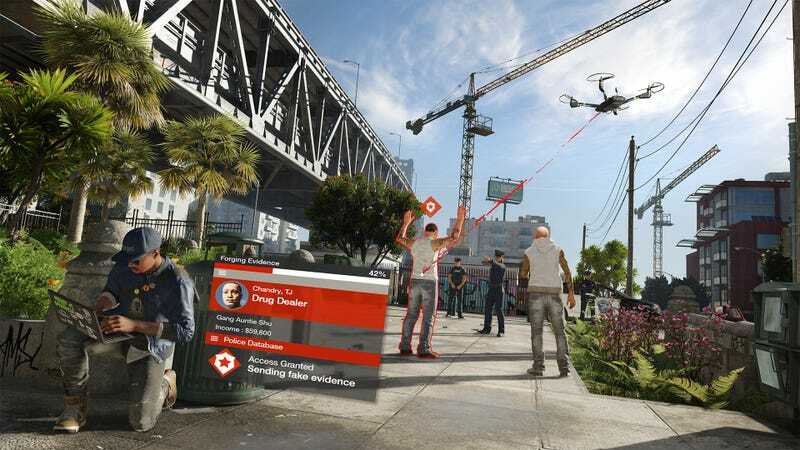 We’ve been playing Watch Dogs 2 for the past few days, and one thing we noticed was that this multiplayer feature—which allowed players to cross into other players’ games—was very unstable, leading to framerate drops and crashes. Over the weekend, Ubisoft removed multiplayer from review copies of the game until they could fix it. Turns out that won’t be until after launch. It will likely shock you—shock you!—to hear that an AAA video game is not working properly on launch day.